^ Kelley, Peter (February 18, 2010). 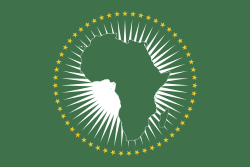 "HFS staffer Yadesa Bojia celebrated for designing striking new African Union flag". University of Washington.